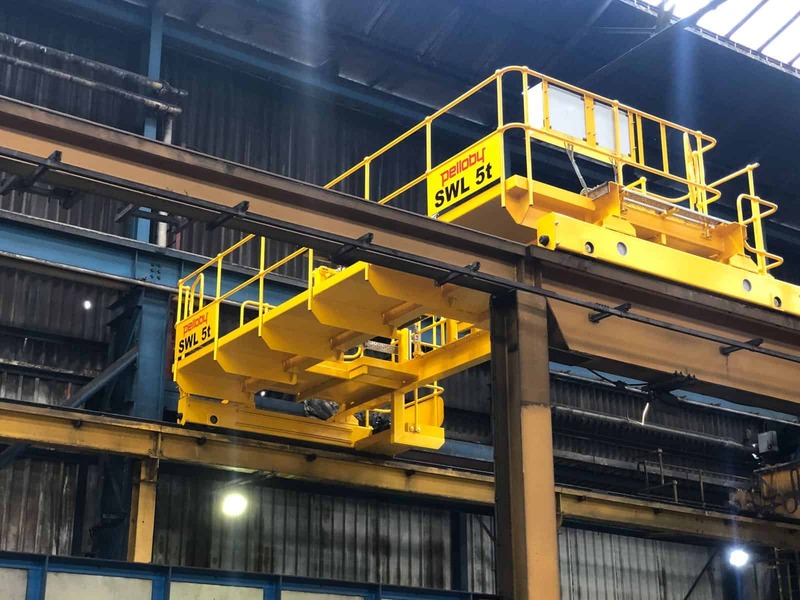 As one of the UK’s leading overhead crane manufacturers we are well used to creating gantry steelwork for our overhead cranes to run on. As well as this we are also happy to provide brand new cranes for existing gantry structures within a work place. Here’s one recent example of this with a 5 tonne safe working load overhead crane. After an initial site visit, a member of the Pelloby team reviewed the nature of the pre-existing gantry steelwork and recorded all the key dimensions. Our design department then set about devising a new crane which could both meet the requirement of the application in hand and utilise the existing supporting framework. The end result was an impressive double girder overhead beam crane with access walkways and safety rails running alongside the crane span 6490mm span. This allowed maintenance access to the bespoke open barrel rope crab unit which was installed with the crane to lift capacities of up to five tonnes. A divorced pendant controlled all motions of the crane and hoist’s movements, with dual speed options provided at the client’s request. The existing gantry rails sat at a height of 4690mm, while the distance from ground level to the top of the crane is a considerable 7450mm – indicating the size of the crane itself when taken into account with the safety side rails. The end carriages at either side of the cross beams themselves had wheel centres of 2250mm. We supported our client through every step of the process, from initial site visits and quotations through to design, delivery, installation and final testing for use. 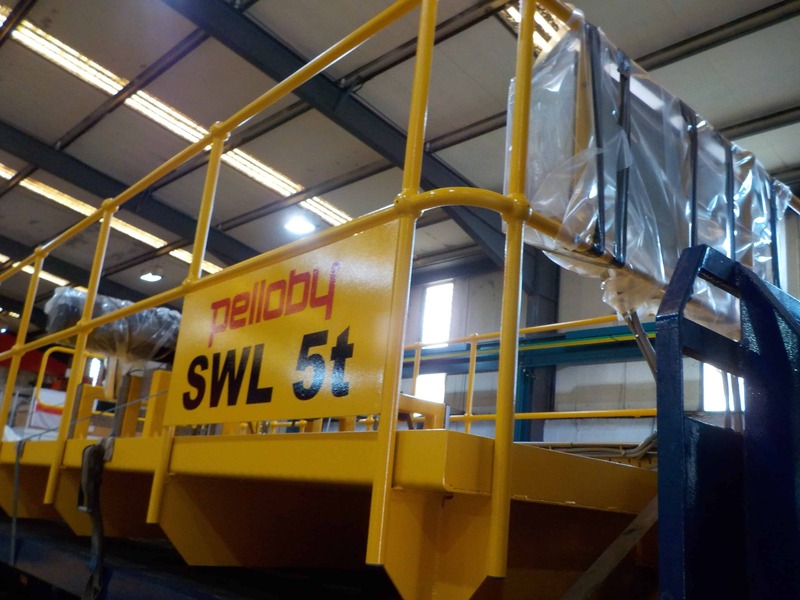 If you have a particular lifting requirement you would like to discuss with our specialist team get in touch today and call 01952 586 626 or email sales@pelloby.com.